Great photos and reports everyone. We chased the Wollongong area on the 26th. We encountered a lot of hail in the Robertson area with some stones reaching 3cm maybe slightly larger than this. 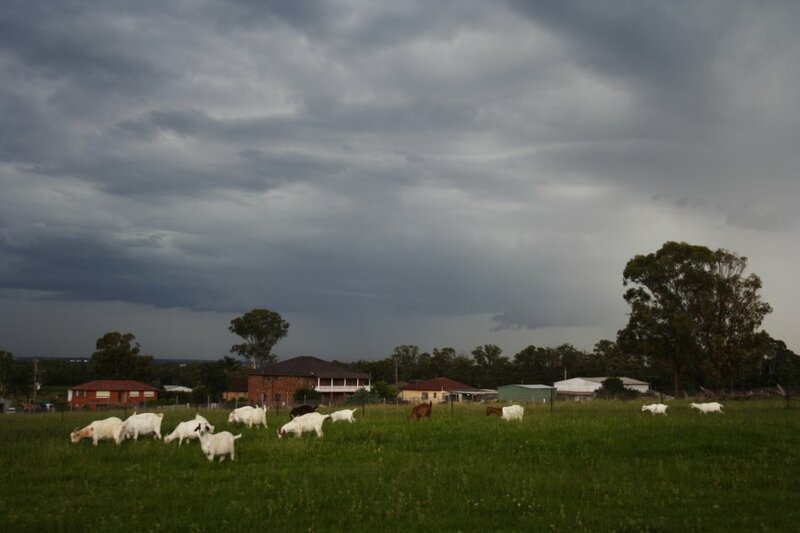 We then followed the storm down the escarpment and finally got ahead of the torrential rain/hail after Albion Park allowing us to see a large ominous base. Unfortunately we never quite got out of the rain - it was always raining lightly ahead of the storm making photography difficult. We got another round of torrential rain as the storm closed in at Port Kembla. This lead to some nice flash flooding, with some roads covered in a foot of water. Numerous cars had ducked for cover(trees, bridges etc) expecting big hail, but we didn't get anything over 2cms which surprised me. We also witnessed a flang fest near Wollongong, with 3 flangs within 200 metres in under 10 seconds, and a total of 8 close flangs in less than a minute. An exciting chase. 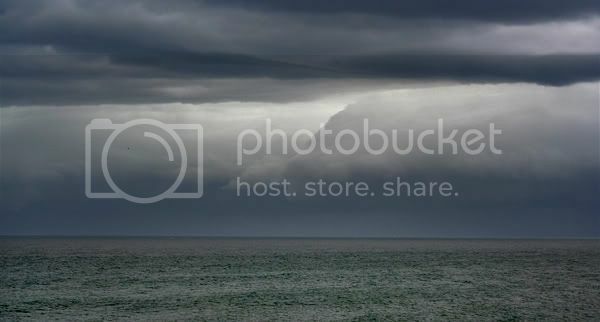 I also went for a local chase to Kiama yesterday encountering a nice storm with a shelf/rollcloud and a nice dark rain free base. 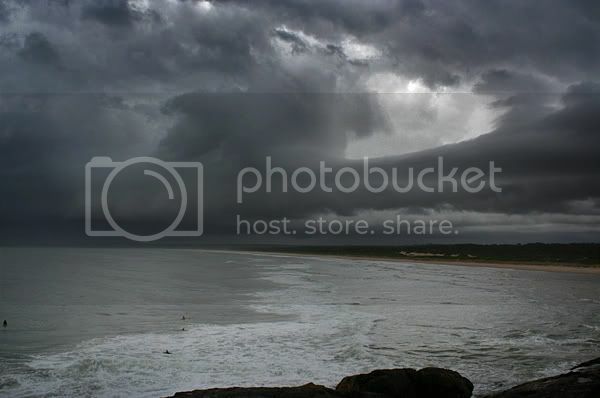 This storm produced 30 knot plus outflow winds in Shellharbour. Very little lightning in it though which was really surprising, but this was a feature with a lot of the storms yesterday. I found some hail drifts near Kiama as well. I have a small video from yesterdays chase if anyone is interested. Cheers. Nice to hear the hailstones vibrating on the vehicle Pintang. The goats are becoming famous now! First time was with the comet! Pretty detached base developed whilst I was at this position and then the rain started shortly after. reveals the structure at it's best before it lost momentum. Tuesday 26-02-08. Also Jimmy , I believe the following shot is also of that detached base from Wednesday 27-02-08, but taken from Parramatta looking NW. embedded lightning. Lucky to salvage these captures . Decaying storm with crawlers illuminating the remnants of mammatus. Cheers, Con. By the way , nice video sequence there pingtang. 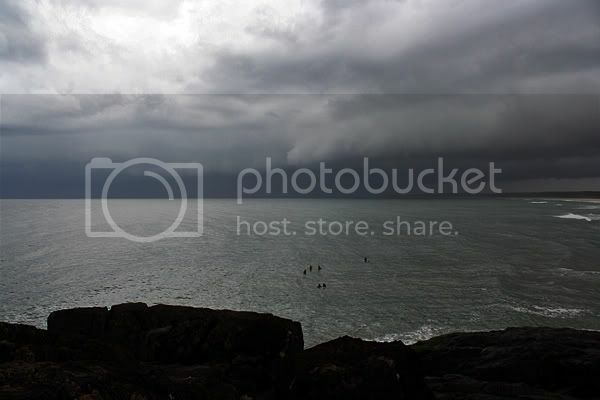 This is how today's storms (Thurs 28th Feb) looked as it came through Coffs. 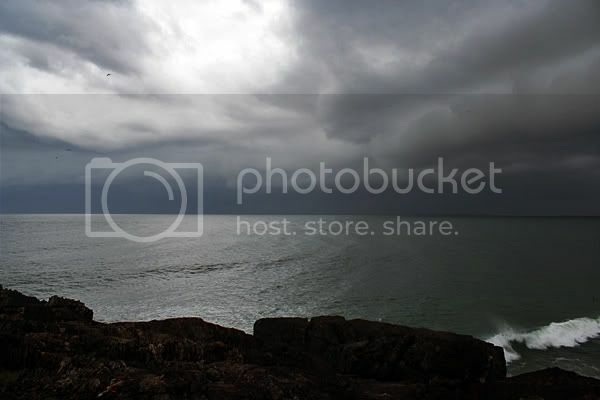 A gust of wind was recorded at 74kmh from this storm, certainly was windy on the headland. Not much lightning around though. Interesting structure there Kane - nothing made it this far north. 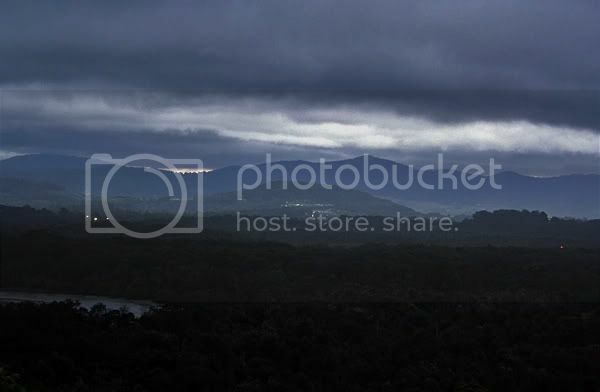 I only managed to see some weak lightning to the far south and southwest early evening from Ballina. I did not chase on the 27th February but did walk across the road for some high based structure. Mate, you must've been exhausted after that distance! hahaha so now you hold the world record for the longest distance covered on a chase and also the shortest! Guinness Book do I hear anyone mention? Haha one has to watch those fuel prices. I got too lazy to open the gate for the car. Ideally if it had turned out better, then I would have been better off with the car given there is the tripod in the boot etc. Also when it started to rain, the car would have been ideal to photograph from. What amazed once several years ago, we were looking for good spots to film and photograph from looking north during a chase. Then we went onto my balcony and that was better than any spot around! We wasted a reasonable amount of time looking for it. So crossing the road especially for higher based storms is not too bad for any storms that come within say 15km from Schofields. 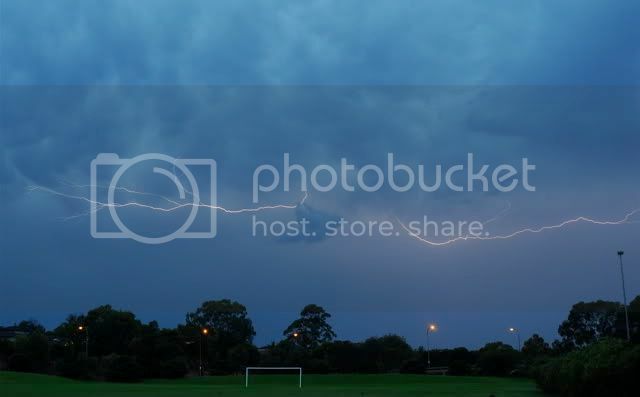 The evening thunderstorm of 27/2/2008 produced a beautiful lightning bolt to the north and close to where I live that hit an electricity transformer blowing it up. The explosions and green flashes were amazing to see. No photos taken but I certainly heard the explosion from it. Shortly after, I saw two fire engines and other emergency vehicles race west along Blacktown Road assuming they were called out to deal with the resulting fire and blackout. 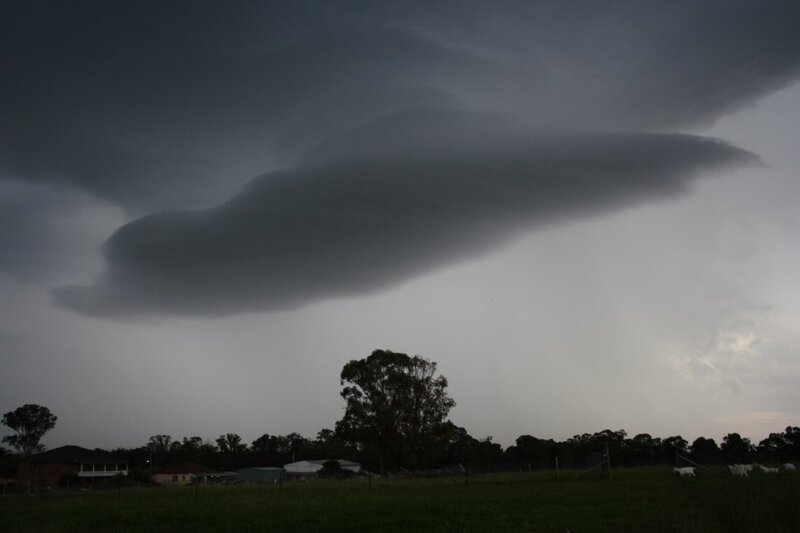 Shortly before this storm, I took some photos of some interesting cloud structure south of Prospect. The storm cell produced a burst of heavy rain and moderate winds and a few cloud to ground lightning strikes with one hitting that nearby transformer. I think you now put a new slant on the words to "storm chase" - when vehicles are hard to come by, amazing how available shank's pony is! (rolling on the floor in rapturous laughter). 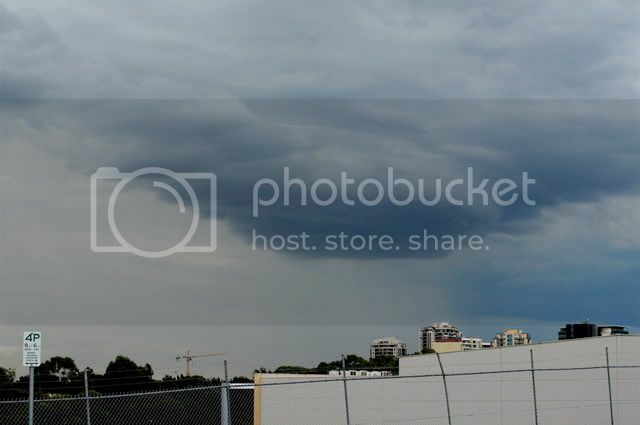 Did anyone else see the rotating cell near Blacktown on Wednesday the 27th of February? It had great compact Lp type structure for a while before it disapated in classic LP style from the base up. 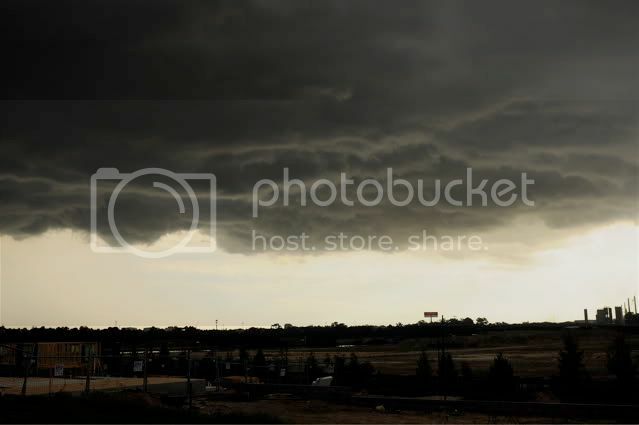 It had visable rotation which I watched from a Train as I headed home from the city at around 6pm. I didn't have a camera unfortunately. I took numerous photos of the Bilpin cell on the 26th from Penrith. It produced some nice mamatus and lingered for quite a long time. I did not see any rotation personally but there was a cell that passed to my south that put up an updraft that initially was interesting. The anvils from other cells destroyed the party I guess. 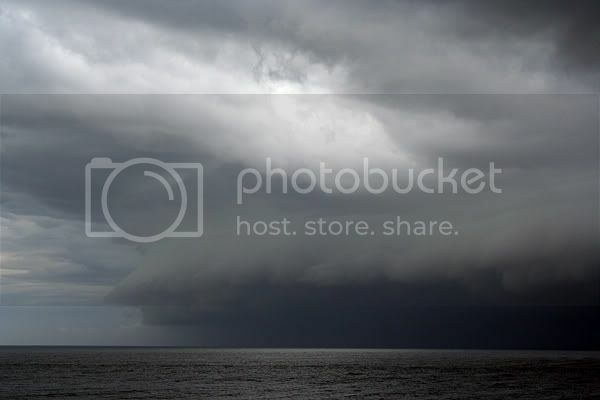 Jeff, Is this first photo the rotating cell you mention. 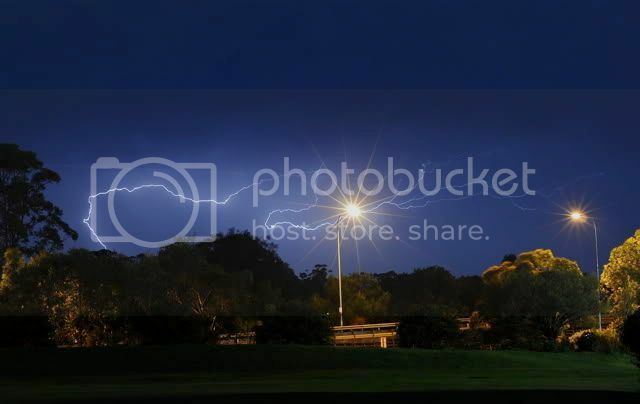 I photographed this from Parramatta looking towards Blacktown around 6.15pm on the 27th. I had checked the radar around 6pm before going down the road from home. 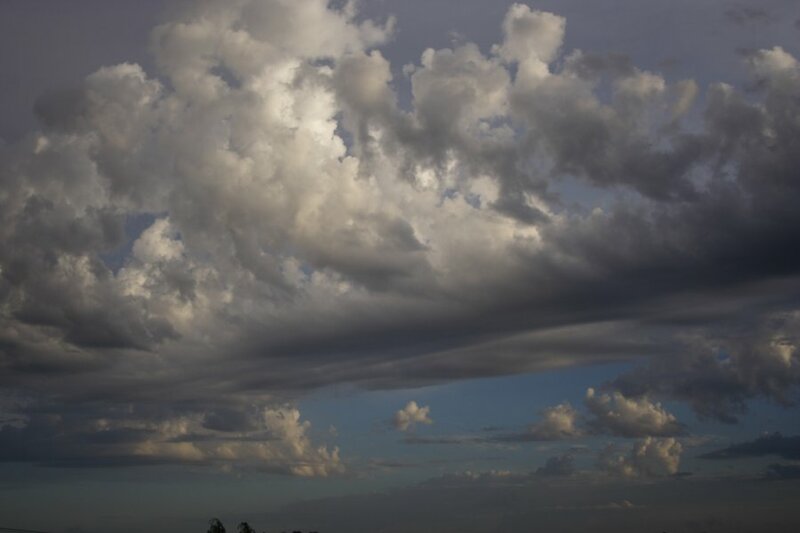 It showed this feature as the last stages of an intense cell that had matured earlier over the Campbelltown area. It exhibited quite a tight structure for about 5 minutes before decaying. I didn't see rotation from where I was, again a video may have helped. Still, it displayed a very light precip curtain behind the rain free base of the cell. I headed out for a look because of an intensifying line of cells to the west which Jimmy had observed as well. Thanks for bringing it up, I had forgotten about it. 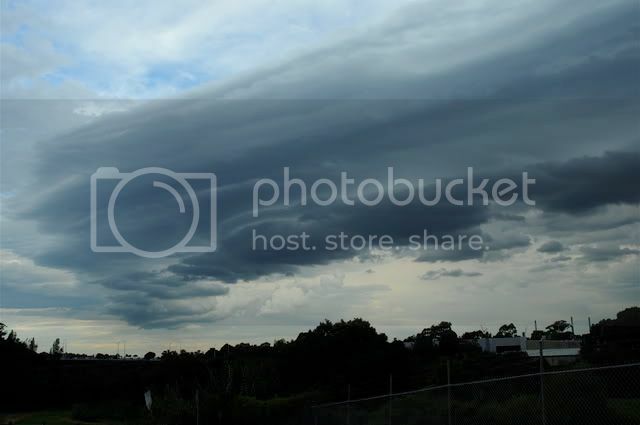 This second shot is of a tiered cloud feature taken over Homebush that extended out from that LP type cell structure that you saw Jeff. It went on to produce heavy showers in the east.